This is a good old recipe from my diary. During my college days, I had a friend from Namakkal, they relocated to Salem, and her mom used to make this, and I used to love it!!. Though I had the recipe in my diary, to be honest, never once have I made it!!! It really really came out very well, white and crisp. In the standards of my elder people, always bakshanams should not become reddish in colour. That means, a minus mark. If they stay to be light golden and white in colour, a big plus mark..... These crunchy snacks came up to all standards and won full mark. And also, the fact that they fall into the oil in small pieces show how crunchy and crisp they are!!! 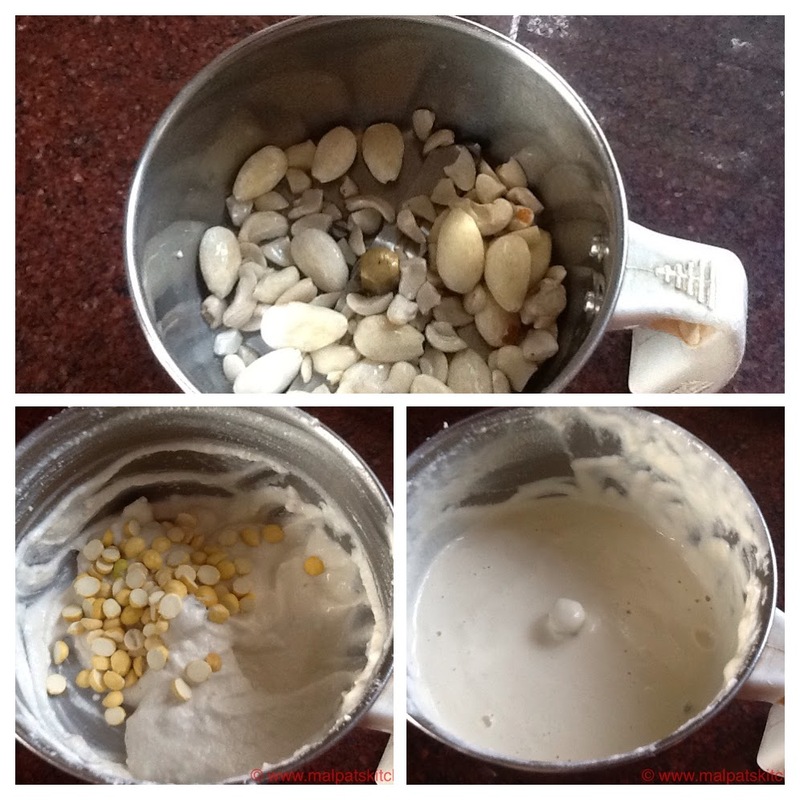 Idiyappam flour measured, and to it, hing powder, ghee, sesame seeds, salt and the ground paste added. Oil heated up well, and murukku squeezed into the hot oil. Don't try to flip it over. 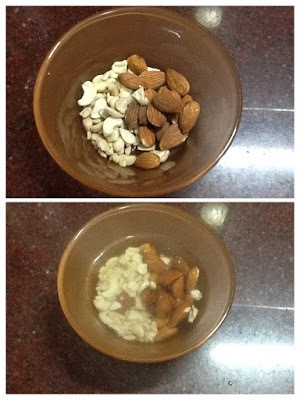 Leave it aside for 2-3 minutes, then with a ladle, gently separate them, in case they have formed clusters. As they fall into the oil itself, they fall like broken bits, like kara sevai. Wait for the shshsh sound to stop, then drain them and keep on a kitchen towel in a colander. Keep it in an airtight container, remember to close the lid, after they completely cool down. Serve with coffee or tea. Many are sure to like this snack, since it has just rice flour, and no besan flour, since besan causes gas for some. * Sesame seeds can be replaced by Cumin seeds / jeera also. * Black sesame seeds can be added, but they will be obviously visible. If you use white, then just the flavour is there, while they remain unnoticed. I have heard cashew and badam the prime ingredients in this recipe are used for making Indian,sweets except added to the savories as garnishing But imagine these are used as one of the basics for making murrukku!! Wow! What an explosive concoction! Truly rare and rich savory! Thanks for introducing this unique murrukku . Thank you Anjali. I am happy, you like this snack. Would like to try this recipe, what size cup is used for the idiyappam flour? Thank you!! Hi Uma, thanks for visiting my blog. The cup mentioned here is US measurement, a set of such cups are available in all stores easily. In case you don't have them, you can always use a mid sized cup to measure the flour, and use the same to measure cashews and almonds.